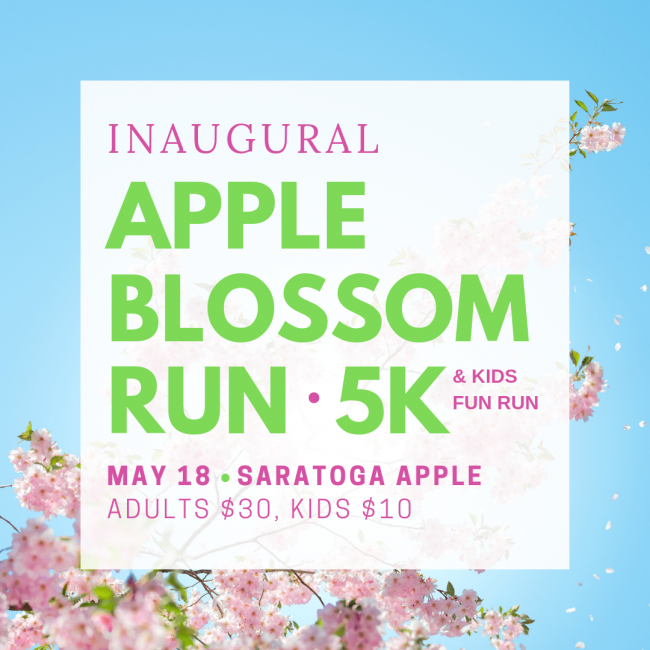 Join us for our inaugural Apple Blossom Run! The 5k race and kids fun run will weave through hundreds of apple trees, expected to be in full bloom on race day. Come celebrate spring with us! Saratoga Apple will be serving a BOGO drink special for runners on race day, and 9 Miles East will be cooking up some healthy menu items for sale.